Your basement and floor layout can increase the worth of your property by adding more square footage to it. Whatever the usage, it's great for your home. 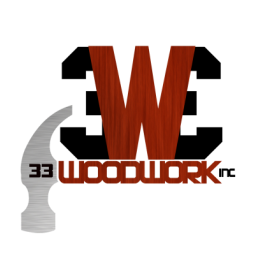 33 Woodwork Inc. will take your basement from a dungeon to a delight. One basement, one solution: From framing walls, insulation, dry wall, finish carpentry, paint and finish, flooring ,flooring tile, plumbing, lighting, and carpet installation we have got you 100% covered. Our custom flooring solutions will upgrade any room in your house. View Our Custom Basement Remodeling Gallery.